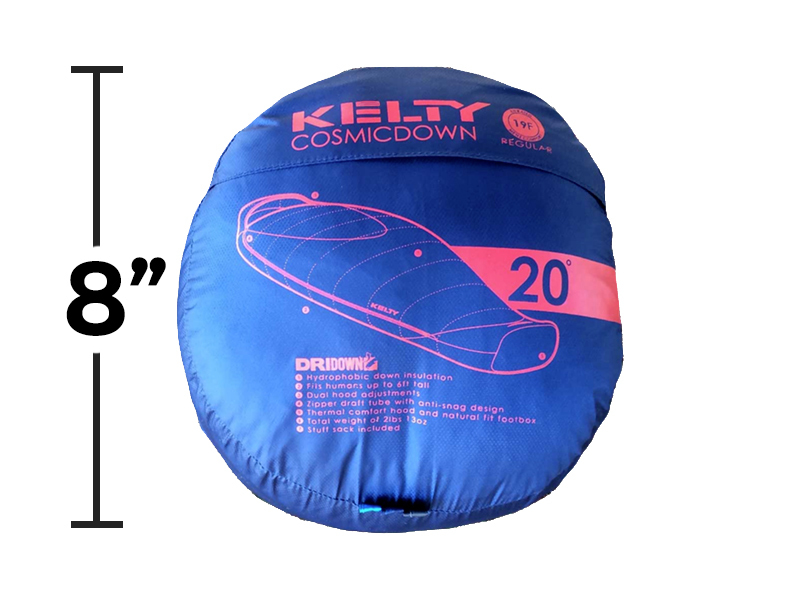 Here is the ultimate Kelty Cosmic Down 20 Review. Read on to see why this budget-friendly, feature-stuffed, mummy-style sleeping bag is one we can certainly recommend for cold weather camping. We think that this is the best sleeping bag for backpacking, and after you read this review, you might too. 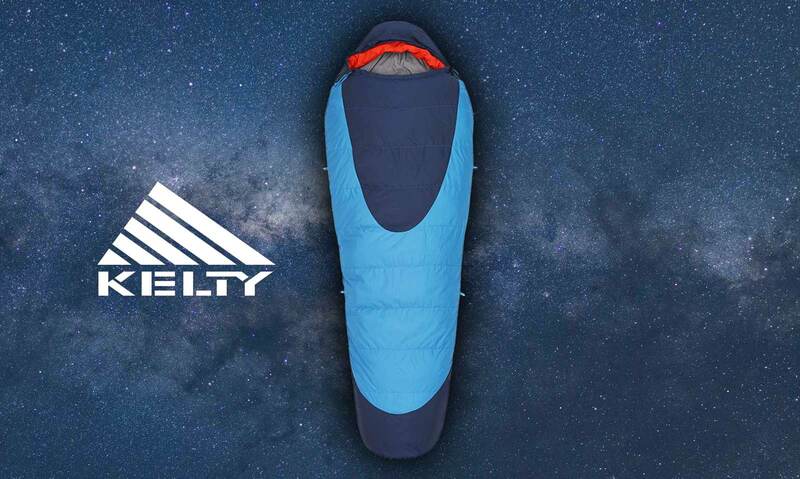 The Kelty Cosmic 20 sleeping bag is rated for three-seasons, which means it is intended to be warm enough for spring, summer, and fall, when nighttime temperatures can drop below freezing in some regions. Although this sleeping bag is probably not warm enough for the dead of winter, it is versatile enough to use almost all-year round. It is warm enough for most seasons, yet not so insulated that you’ll overheat in the summer. It can get a bit hot in warmer conditions, however if you vent the side zipper you should be good. The bag is lightweight, clocking in at 1.3kg (regular size), making it a low-profile addition for any backpacker. Although not the lightest three-season sleeping bag around, it is among the lightest we could find in its budget-class. For campers and backpackers who don’t need the most ultralight options, the Cosmic 20 should do the trick. The DriDown fill is nice and airy, giving a pleasant feeling of weight to the sleeper while still feeling breathable and cushiony, as far as sleeping bags go. Kelty uses the EN (European Norm) comfort rating system for all Kelty down sleeping bags. This is is a rigorous testing process which rates the optimal temperatures for various sleeping bags. The Cosmic 20 clocks in at a tested lower limit of 19 degrees F, which is the lowest temperature at which a “warm sleeper” will feel alright in this sleeping bag. This innovative bag is filled with 600-fill DriDown, a patented form of traditional down which is enhanced with a hydrophobic coating. This means the down material actually repels away moisture. So not only is the exterior of the sleeping bag water-resistant, but the insulation inside is actually water-resistant as well. Furthermore, the down is easy to compress, but is impressively resistant to clumping. We find that DriDown makes the sleeping bag perform better in wet conditions than you would expect, because the down itself does not get soaked. It also does a great job of staying warm, even when it is moist– a property that is hard to come by in many insulated sleeping bags. The DriDown filler also dries faster, so when you hang up your Kelty to dry the next morning, it will be dry as bone when you are ready to use it again. The liner is made from 50D Polyester taffeta, which is a time-tested form of polyester known to imitate the feeling of silk. It has a pleasant, smooth feeling to the touch. Best of all, it is excellent at evaporating moisture, making this one breathable sleeping bag. If you are prone to night sweats while sleeping, this may be the right liner for you. The shell is made from 50D ripstop polyester, which we appreciate because it will extend the life of the sleeping bag. Why? Because the shell is reinforced with crosshatched, interwoven threads. This gives the liner a tough feel and makes it much harder to snag or tear than traditional polyester shells. Plus, the quilt-through design means the down won’t move around too much inside– which will help to prevent cold-spots from forming. This is a traditional, mummy sleeping bag, which means it can cover almost your entire surface area– leaving a small hole for you to breathe (that’s kind of important). It boasts a thermal comfort hood which covers your head, with two drawstrings to cinch the hood close to your face. There is one drawstring on top which can cinch the bag toward your forehead, and another drawstring along the neckline which can cinch the bag toward your chin and around your cheeks. This keeps you well-insulated and prevents you from losing heat through your scalp, an easily overlooked spot. The hood also has a draft collar, which you can choose to flip up and better cover your neck and face, which will help prevent any cold air from seeping into the bag. Mummy style also means that the bag tapers down as it gets closer to your feet. 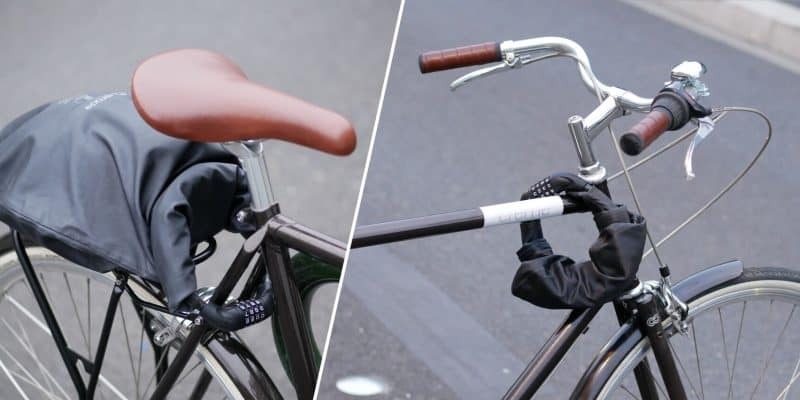 This is a nice feature because it keeps the warm insulation snug to your body and also saves on excess material (and therefore excess weight). The foot box is the area at the base of the sleeping bag, which actually quite roomy, despite the tapered style. This is useful because it gives your feet the freedom to move around as you shift to get comfortable at night. The helpful dual zipper system is well-designed to optimize your personal temperature control. Feeling a little too hot? Simply slide one of the zippers up to get some ventilation near your legs. Or zip down near your torso– it’s your choice! The zipper is almost full length, stopping just above the footbox. We found this to be just fine, as we never had any reason to zip lower than that. Even if you zip the top down for ventilation, but don’t want the whole top to open up on you– simply use the included velcro strap to keep the neckline connected. The zipper also has a draft tube running all the way along the inside of the zipper. This is great, because too many sleeping bags for camping neglect to insulate the zipper which lets chilly air seep in overnight. The Kelty, on the other hand, won’t allow anything to slip through the zipper, which has traditionally been a week point for other sleeping bags. Finally, the zipper is surrounded by an anti-snag fabric, which will prevent the teeth from catching any of the polyester shell– which can be an infuriating experience. We’ve all had a jacket or sleeping bag catch the shell in the zipper, what a pain. Through all our testing, we were not able to make the Cosmic 20 shell get caught in the zipper. The sleeping bag features four small loops inside the bag. These allow you to customize the bag with compatible Kelty travel liners or wicking liners (sold separately). If you need to beef up your bag’s insulation, or enhance it with extra moisture wicking, the Cosmic 20 can accommodate many different kinds of extra liners. These liners are easy to clip into the four internal loops, which is a great way to prevent the liners from shifting around as you sleep. There are also four external sleeping pad security loops, which are useful to attach your sleeping bag to most sleeping pads underneath. Once again, this helps your rig stay put even as you roll around in your sleep. Lastly, there are two external hang loops at the base of the sleeping bag, which do exactly what it sounds like. They let you hang the sleeping bag up to dry or to air it out. The sleeping bag is easy to roll up and stow away in the included stuff sack. The sack is made of the same shell material as the bag, which makes it very lightweight and compressible. The regular length sleeping bag is 8″ x 14″ when packed up, but could shrink further if you opt for a compression sack instead. Ultimately, this is a straightforward mummy-style sleeping bag for three seasons. Although it is not ideal in the dead of winter, it is great for the rest of the year. Furthermore, its extensibility options allow you to augment the bag with more thermal lining, if you do want to beef it up for colder temperatures. However, serious mountaineers braving the cold below 19 degrees F should look at Kelty’s warmer options. One of the most budget-friendly sleeping bags in its class, we can recommend the Kelty Cosmic 20 Down Sleeping Bag for most hikers, campers, and backpackers in search of something versatile, durable, and comfortable. All in all, this is a great value, lightweight choice. How do you wash a Kelty down sleeping bag? It depends on how dirty your bag is. If your down sleeping bag just has some stains, it might only need a spot-treatment. This is preferable to a full wash whenever possible. Simply combine some normal dish or hand-soap with water to make a gentle cleaning solution. Use a toothbrush or cloth dipped in the solution to scrub the dirty spot of the sleeping bag shell or liner. Try to do this with the fabric pulled away from the insulation, so you don’t get the insulation wet (though it’s okay if it does get wet). If the bag needs a full wash, and it might take months or even years to get to this point, then simply follow the Kelty Cosmic Down washing instructions. Kelty recommends that you do not dry clean the sleeping bag. They suggest washing in cold water with technical gear wash or mild soap. Do not use detergent. You can wash by hand or on a gentle machine cycle. Do not use a top-loaded washer, only use a front-loaded one. Afterward, don’t twist or ring the bag dry. Handle the bag very gently when it’s soaked through, hang it on a line or use a standard dryer at the lowest heat. Every 10-20 minutes, manually puff up the sleeping bag with your hands to prevent the down from clumping. Make sure it is completely dry before you store it away. DriDown is an improved form of traditional down, designed to be more water-resistant. It is combined with a special coating to give the down hydrophobic properties. This keeps the down dry, puffier, and warmer– especially in wet conditions like rain or snow. What is a 20 degree sleeping bag? A 20 degree bag is a sleeping bag that is officially rated to be comfortable for most people when the air temperature is as low as 20°F. This rating system rests on the assumption that the sleeper is using a sleeping pad coupled with the bag, which provides cushion and insulation from the cold ground. It also assumes that the user wears a layer of long underwear. 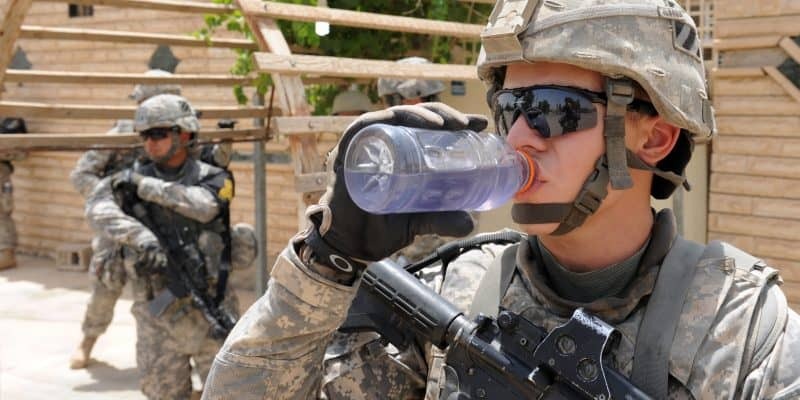 As with all rating systems, the individual person’s experience will vary, so if you know yourself to get cold or hot easily, you may need to adjust your standards accordingly. What size compression sack for a sleeping bag is best? Compression sacks are typically categorized by volume– meaning the amount of stuff they can fit. For the Kelty Cosmic 20, and most 20 degree bags, we recommend a stuff sack that can hold 8-12 liters. If you need to keep things very small, go with 8-liters. Just know it will be more challenging to compress the bag to this size.